Global Relief Technologies (GRT) participated in the 66th Annual Conference of the Southeastern Association of Wildlife Agencies (SEAFWA) with Verizon Wireless in Hot Springs, Arkansas from October 7-10, 2012. Attending as part of the Verizon Wireless Booth at the 66th Annual SEAFWA Conference Global Relief Technologies (GRT) displayed and conducted demonstrations of Rapid Data Management System (RDMS) which is GRTs propriety Advanced Mobile Field-Data Collection & Analysis Solution which has proven to deliver a 30-50% increase in field workers productivity upon successful implementation and utilization. Josh Bresette, Senior Vice President of Global Relief Technologies (GRT), was excited to have participated in the 66th Annual SEAFWA Conference stating, The GRT Team attending the 66th Annual SEAFWA Conference found the event extremely rewarding. Verizon Wireless, our highly valued strategic business, offerd GRT the opportunity to develop initial relationships with key decision makers for many Fish & Wildlife State Agencies. The SEAFWA Conference also allowed GRT to further our understanding and knowledge of the business process workflow in the field for these Agencies which is critical to the future success of our advanced mobile field-data collection and analysis solution called Rapid Data Management System (RDMS). We are excited to participate in SEAFWAs annual conference next year and all those going forward, especially given the fact we recently completed a very successful RDMS Pilot Program with the Texas Department of Parks & Wildlife. The Southeastern Association of Fish and Wildlife Agencies (SEAFWA) is an organization whose members are the state agencies with primary responsibility for management and protection of the fish and wildlife resources in 15 states, Puerto Rico and the United States Virgin Islands. Member states are Alabama, Arkansas, Florida, Georgia, Kentucky, Louisiana, Mississippi, Missouri, North Carolina, Oklahoma, South Carolina, Tennessee, Texas, Virginia, and West Virginia. The Directors of the Association meet semi-annually, in the spring and fall. The Southeastern Association of Fish and Wildlife Agencies (SEAFWA) conducts an annual conference each fall to provide a forum for presentation of information and exchange of ideas regarding the management and protection of fish and wildlife resources throughout the nation but with emphasis on the southeast. Representatives from state and federal agencies, citizen's organizations, universities, and private wildlife research groups present their latest findings relative to resource management, both through scientific research and actual case histories. Fisheries and wildlife scientists present peer reviewed papers at their respective sessions, agency enforcement personnel exchange information on tactics and mutual problems, agency attorneys discuss the latest developments in wildlife law and other pertinent legal issues, and information and education personnel address relative communication, marketing and public relations matters. The conference provides a well balanced exchange of ideas and information of significant benefit to the conservation community in its efforts to manage fish and wildlife resources. Global Relief Technologies (GRT) Rapid Data Management System (RDMS) is a flexible and adaptable Enterprise Mobile Field-Data Collection and Analysis Solution that provides the ability for field personnel (mobile workforces) to quickly and accurately collect, transfer, share, access, manage, and analyze key operational field-data and business information. Rapid Data Management System (RDMS) is comprised of the RDMS Collect software application running on any hand held mobile device and the RDMS Cloud Management & Collaboration Center accessible from any mobile device or through a secure web browser. 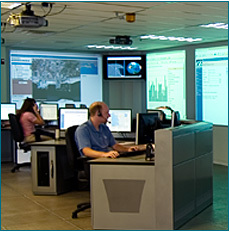 Rapid Data Management System (RDMS) by GRT features include an easy-to-use intuitive graphical user interface, 100% real-time two-way communication, a Workflow Rules & Computation Engine which guarantees structured data validation and improved accuracy in the data collection process, complete Global Positioning System (GPS) & Geographic Information System (GIS) integrated mapping capabilities, the ability to work in a connected and/or disconnected environment, complete Mobile Device Management (MDM) capabilities, as well as the ability to be configured without difficulty to meet each users specific requirements while maintaining the highest levels of security including FIPS-140-2 and full SSL security. Furthermore, RDMS by GRT offers the necessary ability to stay connected 24/7 with the option of using Broadband Global Area Network (BGAN) Satellite Communications when wireless or other modes of connection are not available. Additional features include signature capture capability, photo/sketch reporting functionality, voice-to-text, automated PDFs, bar code scanning, RFID tracking, on-demand satellite imagery, and a complete audit trail on all data.